It does not contain Chalk or Coal. Ayurvedic. This is nature’s perfect dental care programme. The pure extracts of 20 herbs and barks, tested over generations, have been blended into a potent combination that not only cleans teeth, but also protects and strengthens them. 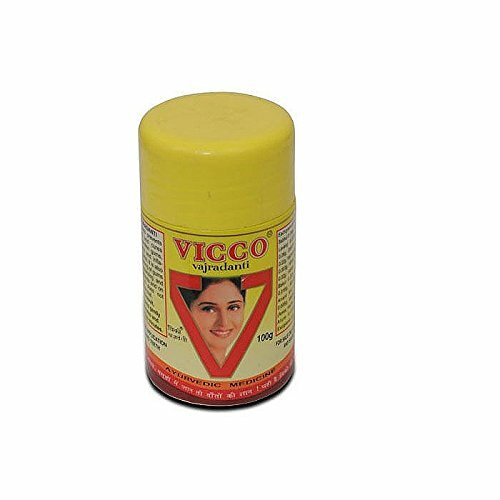 For perfect dental care, teeth are first to be brushed with Vicco Vajradanti paste and then the gums are to be massaged with Vicco Vajradanti powder. While the paste removes food particles from the cavities and crevices of the teeth, the powder strengthens the gums by allowing the essences from 20 rich herbs to percolate down the gum layers. The ‘twin therapy’ rejuvenates teeth and gums to give a never fading smile !